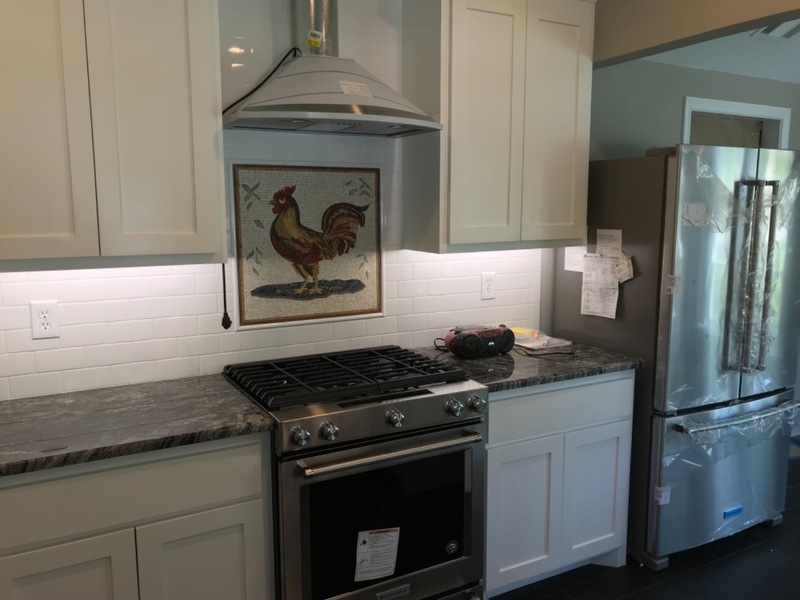 Looking for a unique mosaic kitchen backsplash? This fun and brightly colored rooster mosaic mural will make it amazing. Have it re-sized to your liking and varnished" to complement the style of your decor. The red brown and black in the rooster is set off nicely by the cool colors of the background. " Do you like to see how Mosaic Tile Patterns - Varnished Rooster looks on your wall? 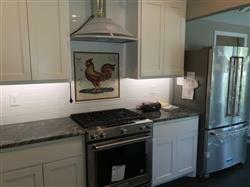 Purchased this rooster mosaic for the backsplash behind the kitchen range. It looks wonderful! So glad I found your website. Just might be back for something when we renovate the master bathroom.